Today I will try to comment on a very common sentence about anodizing on aluminum, which even the anodizers seem to believe in. "There are limits to the value that even a well performed anodizing can bring to the final product"
Let´s start with a well-know product like an aluminum screen door. Production of a screen door would probably go like this. 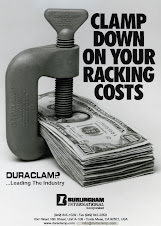 First the extrusion company buys a aluminum billet from the primary aluminum production company. The billet is extruded to a screen door profile and then anodized, if the profile is not anodized it will end up like the upper part in the photo in very short time and who wants a dull and boring screen door like that? but not like the one on the right side of the photo. 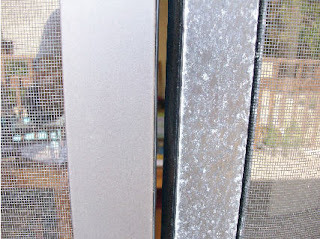 The difference between these two screen doors are the companies who made them but also the thickness of the anodized layer. They are both electrolytic colored and anodized. The one which looks great has a thickness of 15 - 18 µm and the other one a thickness about 5 µm. The anodizing price pr. sqf for the profile has probably been around 0.5 dollars dependent on the thickness, color and amount. Who wouldn´t pay for a screen door which looks gorgeous for 20 years instead of having a screen door which looks like crab after 3 - 6 months depending on the place you live. Many end users seem to think that anodizing should be inexpensive and haven´t really seen the value of paying more for a high quality Anodizing process yet. It seems like most end users are willing to pay more for hard anodizing (hard coat), here the product often has been expensively machined before arriving at the anodizer. A piston is a very good example on this. The piston needs to fit tightly into the cylinder. It has been machined with low tolerance holes and dimensions to withstand the high pressure. The price of the machining and the material price of the aluminum are many times higher than the anodizing. 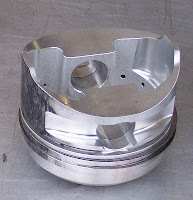 If the aluminum piston wasn´t hard anodized, especially in the piston ring grooves where it needs to be gas tight, the performance would be limited. So the hard anodizing improve durability and decreases the potential for wear. Without the hard anodized layer it would be meaningless to use aluminum at all because of the soft surface of this material. So paying around 20 - 30 USD/sqf is nothing compared to the life of the piston when hard anodized. An earlier blog explain more in-depth why anodizing is so important. Anodizing World aims to be a personal companion in your Anodizing life. For Anodizers, as well as end users of Anodizing. Why the sealing process is so important.